Andy Graydon was born and raised in Maui, Hawaii and originally trained as a filmmaker. Both experiences have been influential on his current work, which is focused on the interaction of media and environment in the forming of personal and social subjectivities. Taking the form of projected light and video installations, photographs, sound works, and architectural interventions that are attuned to site and context, Graydon’s work explores the interplay of phenomenal, ecological, and social constructions that make up our composite notion of place. Much of this work uses cinema and pseudo-cinematic forms (including sound) to address concerns familiar to environmental art, while extending concepts of the environment to encompass the role of mediation in constructing and modulating natural and built environments, as well as "the environment", or the ground of our existence. Graydon describes many of his projects as “science fiction ecologies,” suggesting that what is most important are the speculative potentials that circulate through an environment ? the what-ifs and the parallel dimensions; real and potential traumas and erasures; reversals of scale and time course; conflations of fictional and factual existence. Graydon’s work tries to engage the future dynamic latent within the present material existence, inviting transformations of both the environment and the perceiving subject. 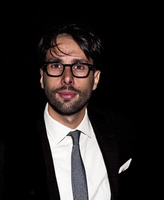 Giuseppe was born in Palermo in 1974. In 2002 he graduated with honors in Digital Design at the European Institute for Design in Rome, where he remained as a professor until 2004. 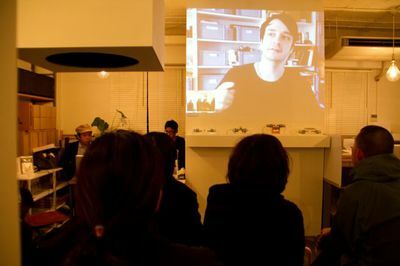 In 2002 he was invited to “Opera Totale 7” as one of the five best emergent Italian web designers. In 2006 the European Institute for Design in Rome conferred him the prize for best carrier in Visual Arts. In 2007 he won the prestigious Webby Awards, thanks to an ecological web project: the website “Mono No Aware” in support of the project “Stop Rokkasho” founded by Oscar winner Ryuichi Sakamoto. That same evening also David Bowie, Beastie Boys and YouTube founders received an award. In 2008 he worked with Sakamoto and Fennesz during the tournèe “Cendre”, which ended with the unforgettable show at Ground Zero in New York. 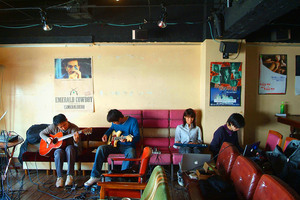 In 2009, together with the musician Con_cetta, he gave life to “Afleur”, a live show which in 2010 he also declined in a very particular object-book, featuring high artistic and ecological value. In 2011, with the participation of more than 600 people, he staged an impressive human tree in Piazza Duomo, Milan, in order to raise public awareness on the problem of pollution. The exclusive use of natural elements (water in the first place) positions him as one of the artists most sensitive to environmental issues. One of his peculiar characteristics is the ability to translate communication needs and raw ideas into 360° creative projects, making skillful use of all the different media available today. He lives and works in Milan. 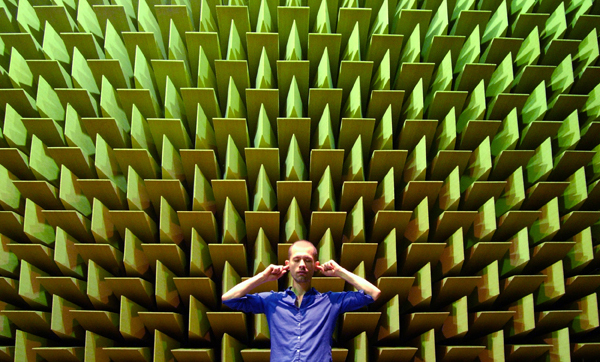 Jacob Kirkegaard is a Danish artist who focuses on the scientific and aesthetic aspects of resonance, time, sound and hearing. 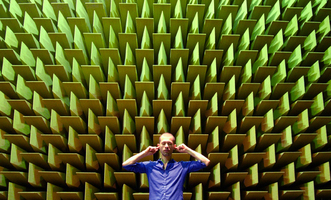 His installations, compositions and performances deal with acoustic spaces and phenomena that usually remain imperceptible. Using unorthodox recording tools, including accelerometers, hydrophones and home-built electromagnetic receivers, Kirkegaard captures and contextualizes hitherto unheard sounds from within a variety of environments : a geyser, a sand dune, a nuclear power plant, an empty room, a TV tower, and even sounds from the human inner ear itself. 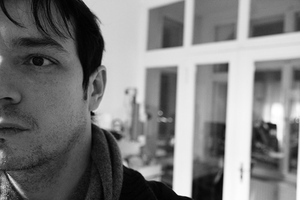 Based in Berlin, Kirkegaard is a graduate of the Academy for Media Arts in Cologne, Germany. 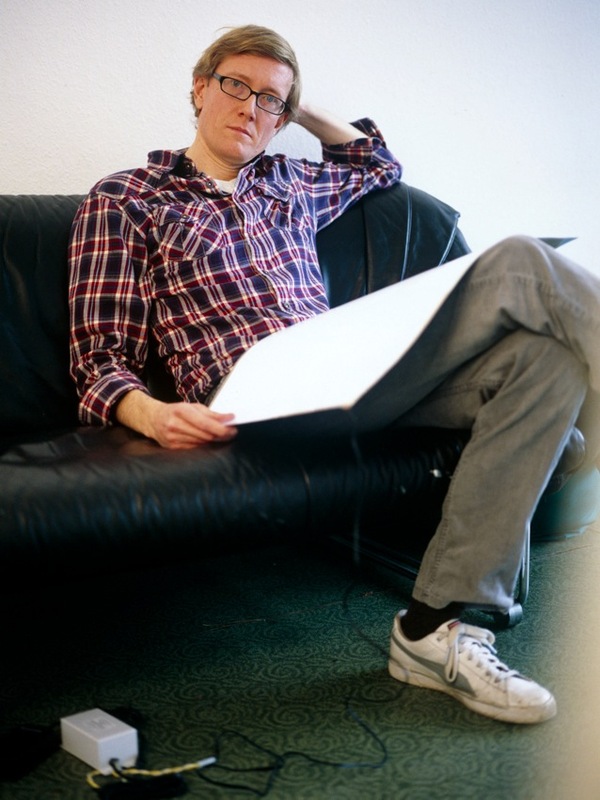 Over the last fifteen years, Kirkegaard has presented his works at exhibitions and at festivals and conferences throughout the world such as Club Transmediale in Berlin, James Cohan Gallery and Diapason in New York as well as Museum of Jurassic Technology in Los Angeles and Museum of Contemorary Art in Denmark. He has released five albums (mostly on the British label Touch). 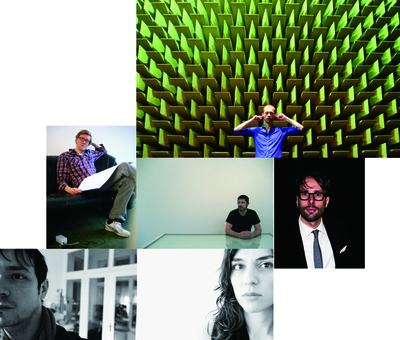 Jacob is also a member of the sound art collective freq_out. Marianthi Papalexandri-Alexandri (b.1974) is a Berlin based composer, artist and performer. 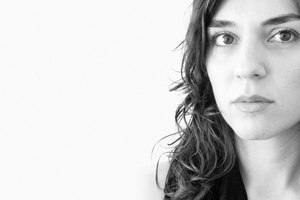 Her work includes compositions for instruments and sound objects that she creates herself and in collaboration with artist Pe Lang, presented in a form of a live performance and audio-visual installation. Papalexandri’s work focuses on the reexamination and reinvention of the musical instrument as a sound generator, as well as the type of sound production and behaviour of the performer. Her work involves a continues interaction between the visual to the musical. It is also a work which demands absolute focus, clarity and economy of means. Wien Modern, Vienna (2008); Internationalen Ferienkurse für Neue Musik Darmstadt, Darmstadt (2008); Ultraschall, Berlin (2008); Yerba Buena Center for the Arts Theater (2006); ISCM-World New Music Days (Stuttgart 2006), in performances by Klangforum Wien, Ensemble Mosaik, Ensemble SurPlus, Quartet New Generation, Orkest de Volharding and the London Improvisers Orchestra among others. Pe Lang, born in 1974 in Switzerland, lives and works in Zurich and Berlin. He has exhibited and performed in several important museums, galleries and festivals, including Transmediale, Berlin; AV Festival, Newcastle; Elektra, Montreal; Sonic Acts XII, Amsterdam; Great North Museum, Newcastle; VAdxjv Kunsthalle, Sweden; Dissonanze, Rome; bitforms gallery, New York; ISEA 2008, Singapore; Netherlands Media Art Institute, Amsterdam; and Cybersonica, London. Yann Novak is a sound, video and installation artist living and working in Los Angeles. Novak has presented his installation work through solo exhibitions at 323 Projects (CA), Armory Center for the Arts (CA), Las Cienegas Projects (CA), Lawrimore Project (WA), Soundfjord (London, UK) and in two person exhibitions at the Henry Art Gallery (WA), Pøst (CA) and Soil Art Gallery (WA). 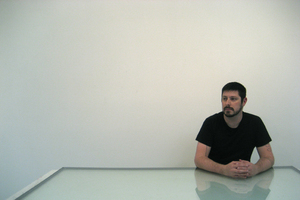 His sound works and scores have been presented internationally as part of multiple group exhibitions and diffusions at venues and events including the American Academy in Rome (Rome, Italy), Aqua Art Miami (FL), File Hipersonica (Brazil), London International Festival of Exploratory Music (London, UK), San Francisco Museum of Modern Art (CA), Suyama Space (WA), TBA Festival (OR), Western Bridge (WA) and others. His solo and collaborative sound works have been published on 14 CD and CD-R releases on such labels as Dragon’s Eye Recordings (CA), Hibernate Recordings (United Kingdom), Infrequency Editions (Canada), Koyuki (Italy), LINE (DC) and White.Line Editions (United Kingdom). Novak’s performance work have been experienced internationally at sound art/electronic music festivals including the AxS Festival (CA), Decibel Festival (WA), Forward Festival (DC), Mutek Festival (Montreal, QB), Resonant Forms Festival (CA), Soundwalk (CA) and at art venues and museums including the Fiske Planetarium (CO), Los Angeles County Museum of Art (CA), Oboro (Montreal, QB), The Stone (NY), Torrance Art Museum (CA) and others.